I love my epic brunches on weekends but I’m a bit polarised on weekdays. Sometimes I will get by with a salad or homemade lunchbox, other days I’ll go all out on a lunch buffet because I feel like something epic (usually Thursdays). 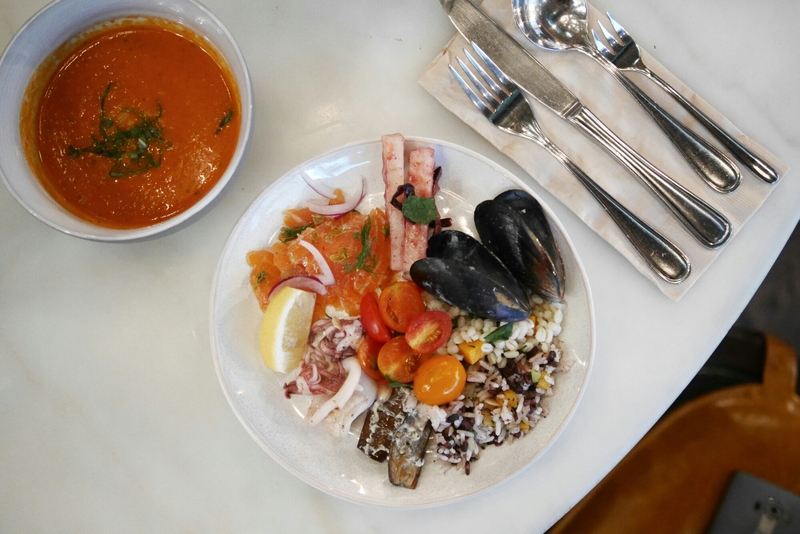 At Lily & Bloom, for HK$298, you get their 1) Lunch Market Feast buffet which includes salads, cold seafood, hams, made to order mac n cheese, fried chicken, meatballs and dessert; 2) 3 pieces of raw oysters and 3) a choice of main course. 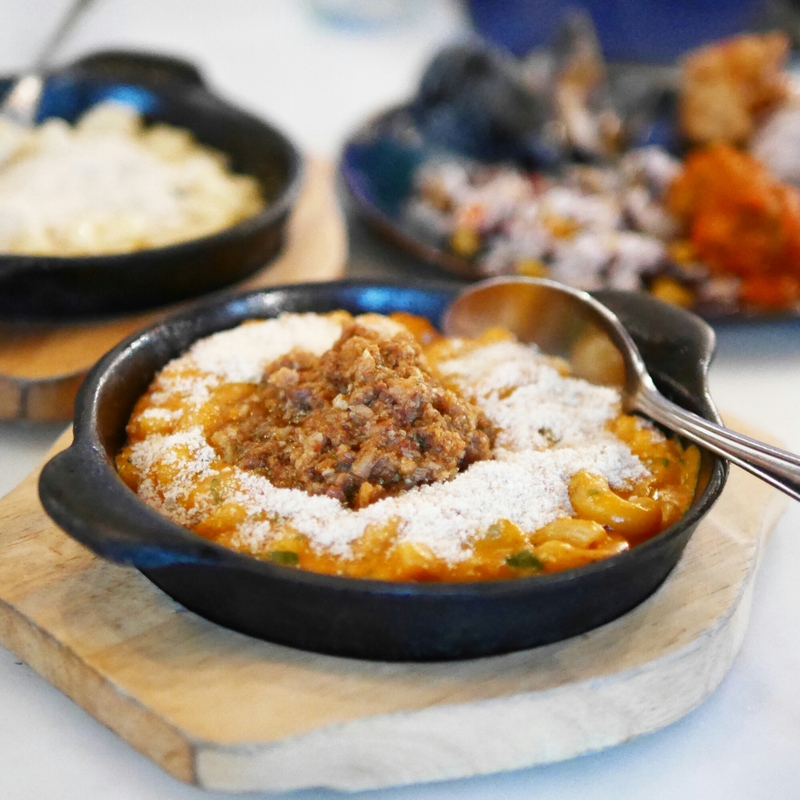 The main course alone is enough to stuff you into food coma, so honestly I think most people would be more than satisfied with just their Lunch Market Feast buffet option which costs HK$178. Choices at the buffet counter were substantial. Apart from the typical cold cut selection, they also had a number of salad choices too and not just boring rocket leaves. They had a quinoa salad, a tomato one, some barley pumpkin salad etc. 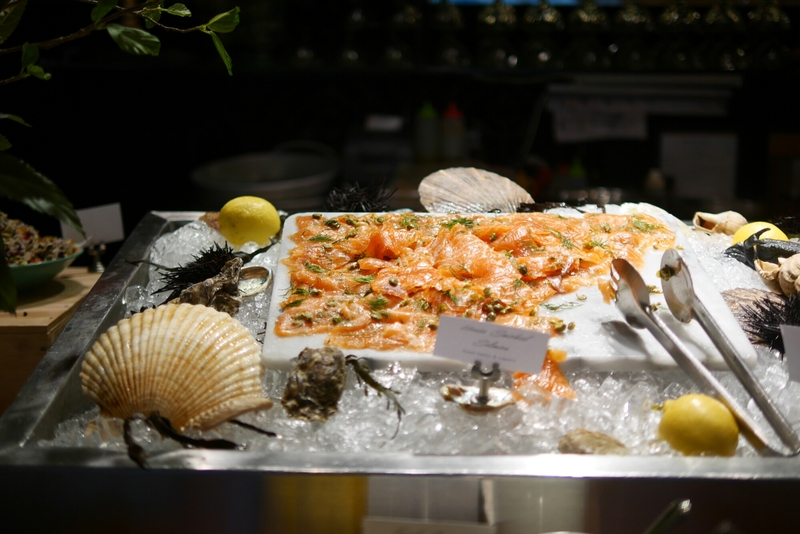 There was also a selection of seafood and I loved the house-smoked salmon! The other seafood items were only so-so though; in fact the mussels were a little fishy tasting. The best part about the Lunch Market Feast (the buffet) is that they actually have very satisfying hot food options (albeit not many of them). 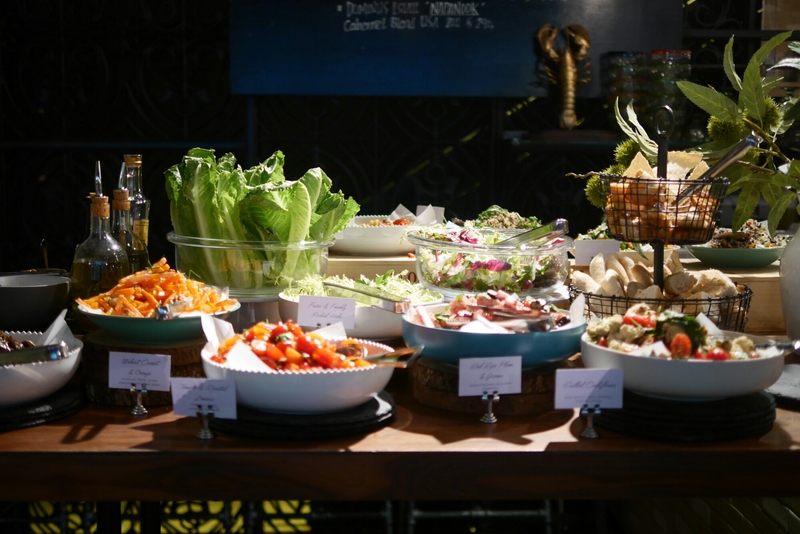 This means that your meal can actually feel complete with the buffet alone – it definitely is not merely an “antipasti buffet”. They had four types of mac n cheese options which are made-to-order. I tried the original and sloppy joes, the latter was an interesting combo, but honestly neither would cut it to being the best mac n cheese. They also had meatballs and fried chicken which were probably my favourite hot food offerings! Keeping it simple works here because I so often just want good classic desserts. The cookies and fudge brownies, although were no major inventions, hit the spot and were so satisfying. I have been massively spoilt in the oyster department after my trip to Tasmania, driving around the coast and finding where to eat the best fresh oysters. Since then, I have rarely been thoroughly impressed by oysters available in Hong Kong. The ones here were unexpectedly big and very juicy. They were quite but not super fresh. So it’s good if you’re really craving oysters, otherwise it’s skippable. While I feel like the selection at the buffet is probably the highlight here at Lily & Bloom, if you dislike buffets, you could actually order just a main course dish here. If you’re really going all in, you could also order a main course dish in addition to the buffet (the HK$298 option which comes with the oysters). 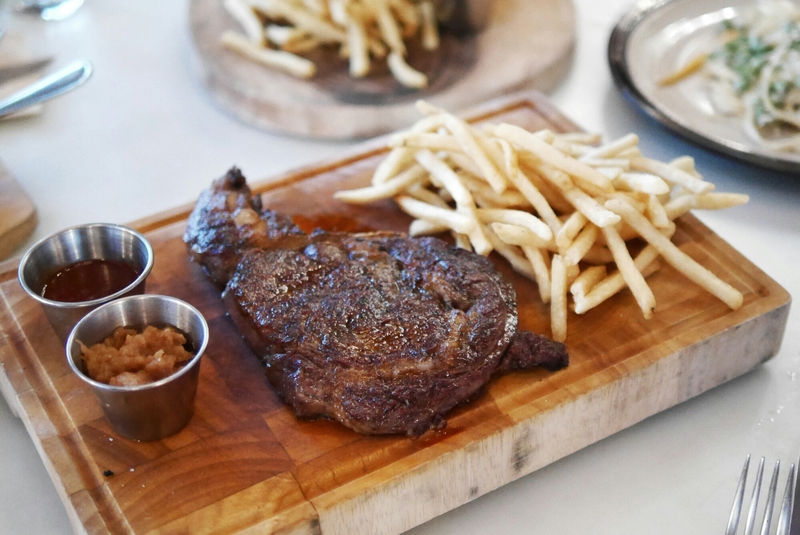 But be warned, some of the main course dishes are truly… main courses, especially the steak frites pictured above. So if you’re ever having a sad morning, head up to LKF tower and into Lily & Bloom. 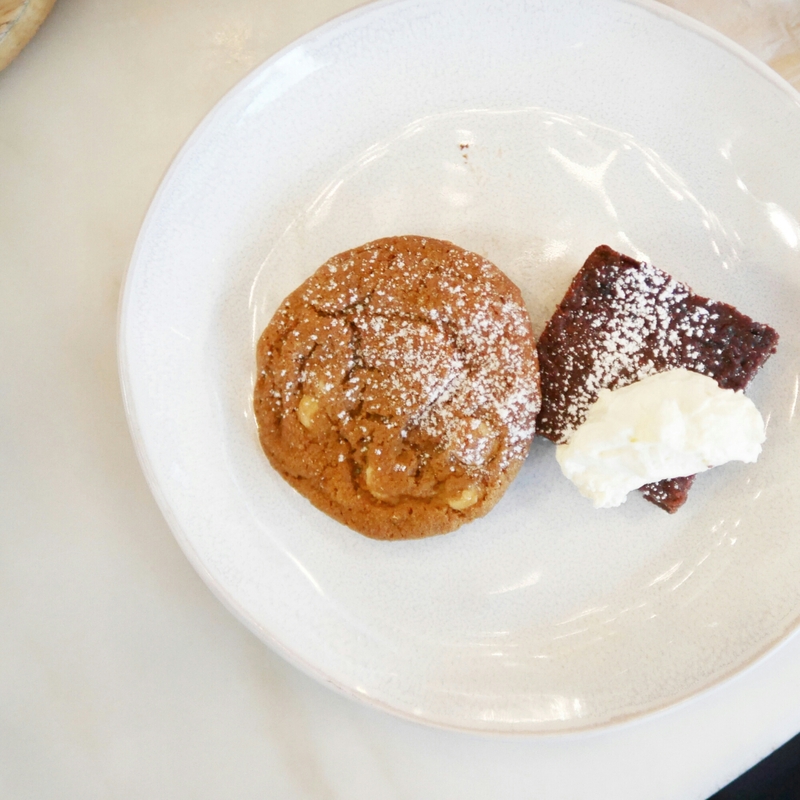 Nourish your body with leaves and quinoa, before treating your soul to fried chicken and mac n cheese, then end your lunch on a sweet note with cookies and brownies! 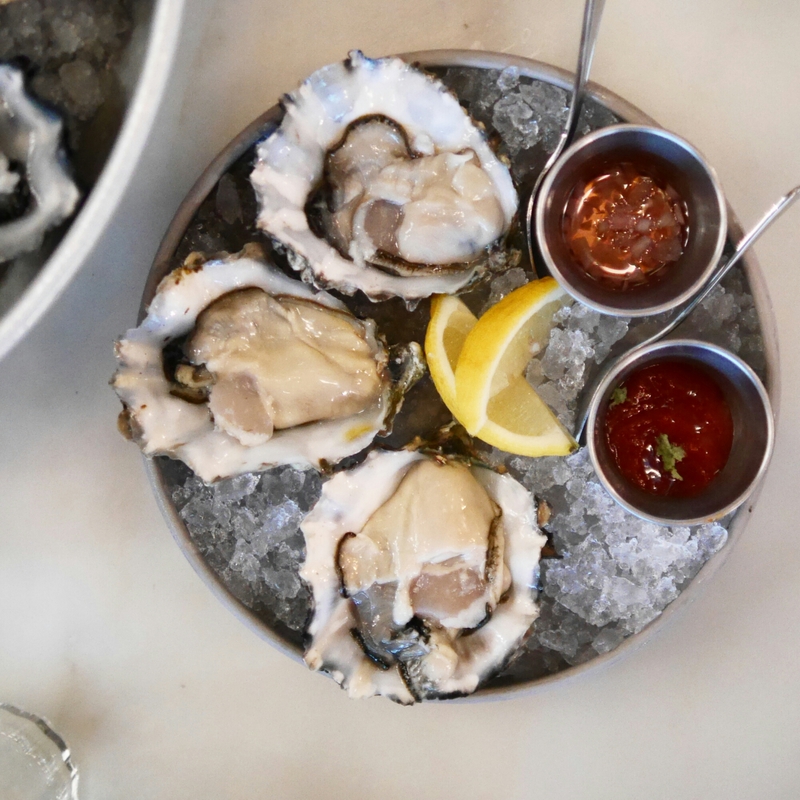 I hadn’t even mentioned the oysters and steak frites yet… If that’s a little cray cray, I guess you could share a main course with your colleague.